Welcome to the Old Fashioned Sweetie Shop. 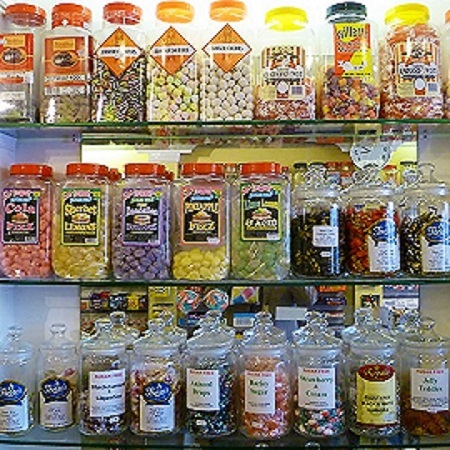 We are a traditional old fashioned sweet shop in the heart of Winchester, the county town of Hampshire. Situated at the top of the high street, our shop is an absolute treasure trove of confectionery, with a mix of traditional and modern treats for all ages! It is exactly as an old fashioned sweet shop used to be, the walls and displays awash with a huge selection, from today to traditional candies of yesteryear. We stock a wide selection of traditional confectionery, ranging from boiled sweets, gums and jellies, to tasty fudges, liquorice and toffees. No matter what your favourite treat is, we will stock it. One of our specialities is the large selection of Cavendish and Harvey traditional travel sweets, where you will find a wide range of flavours that can be bought in our Winchester store, or ordered from the website for delivery across the UK. You will also find in the Old Fashioned Sweetie Shop a good selection of sweets and confectionery from the USA. Our American range is vast. So if you’re looking for American Jolly Rancher Fruit Chews, Dark Mint M&M’s or Mike and Ikes, we stock them. For those with special dietary requirements, you can find a range of suitable sweets on our website, and in our Winchester store. Whether you are looking for Gluten Free, Sugar Free, or Vegan Sweets, you have come to the right place. Our Sugar Free section is large, and ranges from traditional boiled sweets, to chocolate, marshmallows, and jellies. A host of our Gluten Free selection are also available, in store and online, from the Old Fashioned Sweetie Shop. 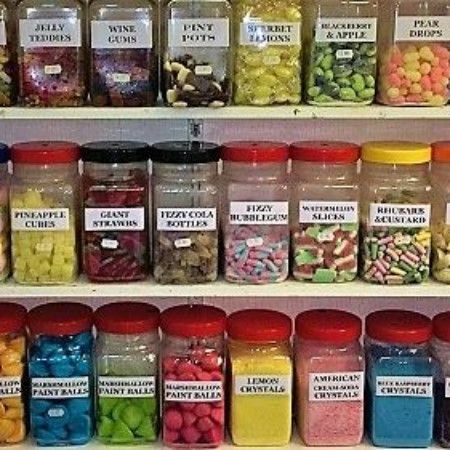 The Old Fashioned Sweetie Shop is open daily, so if you are a regular visitor to Winchester, or just visiting for the day, why not pop in and order all of your favourites, whether you have a craving for traditional treats of old, or more modern UK and American candies! If you are further afield, but still want to sample our delicious range, including Gluten Free, Sugar Free, and Vegan treats, you can order directly from the website, and have all of your favourite traditional confectionery delivered directly to your door.